Tom Hardy has wrapped on the Venom movie and the star is ready to celebrate. 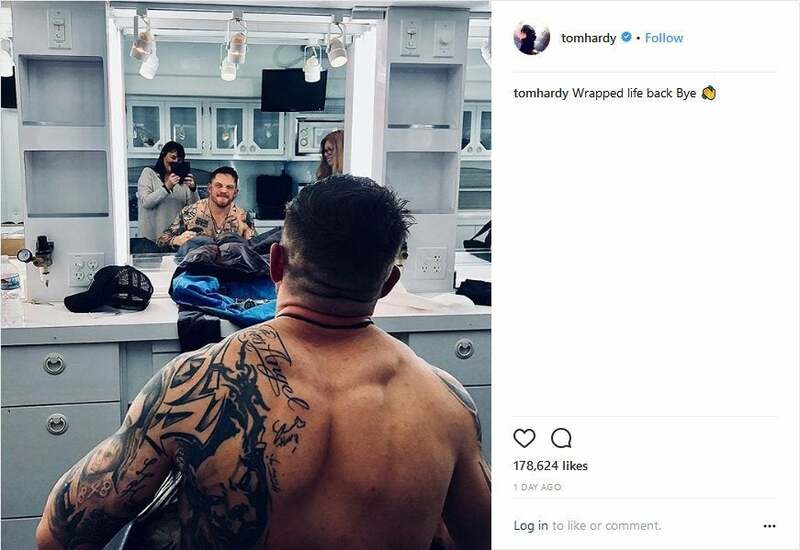 Hardy shared a photo to Instagram after completing filming on the Spider-Man spinoff movie. His message was pretty simple. “Wrapped life back Bye,” he wrote. Hardy was announced as the star of Venom in May 2017. He will play Eddie Brock, the original Venom. The film is directed by Ruben Fleischer and is the first installment of Sony’s Marvel Universe, a shared cinematic universe that will include Silver and Black, a movie featuring Silver Sable and Black Cat, and the Morbius movie. During a panel at Comic Con Experience Brazil, Hardy promised to do the character of Venom justice and bring lots of action and dark humor to the role. He also confirmed that the film is inspired by the Venom: Lethal Protector miniseries. Venom: Lethal Protector was a six-issue miniseries written by David Michelinie and drawn by Mark Bagley, Ron Lim, and Sam Delarosa. The series was published by Marvel Comics in 1993. The series begins with Venom and Spider-Man agreeing to a truce and Venom moving to San Francisco. Once in San Francisco, Venom is attacked by the son of one of his past victims and his hunted down by the Life Foundation, who want to study the Venom symbiote and use it for their own purposes. This results in the creation of five new symbiote spawn: Scream, Phage, Riot, Lasher, and Agony. Riz Ahmed is rumored to be playing Dr. Carlton Drake, the leader of the Life Foundation, in the film. Michelle Williams is playing Anne Weying, Eddie Brock's wife who later becomes She-Venom. The villain Carnage was also rumored for the film, but no casting has been confirmed. There are also rumors that Tom Holland's Spider-Man may make an appearance in the film. Venom currently has a 3.71 out of 5 ComicBook.com User Anticipation Rating. Let us know how excited you are about Venom by giving the movie your own personal ComicBook.com User Anticipation Rating below. 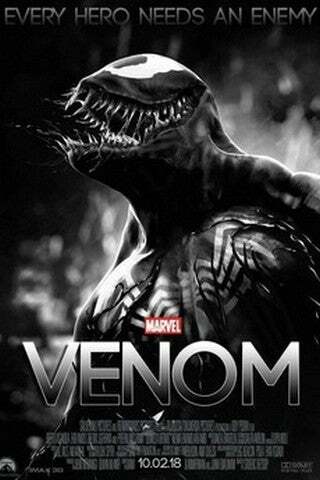 Venom is scheduled for release on October 5, 2018.